The New Moon on Sunday September 9th, 2018 at 3:01pm ADT ~ is an AUSPICIOUS Portal for your expansion of consciousness and ALIGNMENT for you with you and YOUR Eternal Self. This eternal self…BEING in its Original State, is ALL Levels of abundance NOW. AS ~ you as your expanded GOD Self is not separate from anything. Every BEING has their own unique frequency vibration they are radiating, consciously or not. Every being that is taking part of the incarnation plan on Earth school, is here to now or eventually be conscious of and connect with THEIR Divine God Self, that exists now in the higher dimensions of conscious awareness. This alignment takes place through the Heart as the energetic memories are released from the subconscious that exist as energetic charges of perceived separation from its source, it’s very OWN God Self. The Aspects of this New Moon ~. Sun conjunct Moon ~ New Moon Sextile Jupiter, Jupiter sextile Pluto and New Moon Trine Pluto ~ is a DIVINE portal of powerful expansive frequencies that you may consciously enter as YOUR God Self, that knows not separation or LIMITATION. This is an alignment Initiation. The New Moon Opposite Neptune, may appear as challenges that feel like confusion, or insecurity. IF this comes up for you, focus on your breath and heart space. Staying present with what does come up through you are ENERGETIC frequency charges…staying RELAXED is what will help the energy to release quickly, through YOU. YOU have access to everything NOW at the higher levels. You are going through the clearing and purification processes that ALLOW your subconscious to become conscious. Which is full ACCESS through your HEART to ALL That IS. All That YOU Are. There is only abundance, love, joy and bliss at those higher levels of being. Everything is a vibrational frequency you are responding to ~ Being activated in….or you are neutrally observing….this playing out of frequencies that are shifting everything throughout the Universe. Set your intentions clearly, then trust and stay present through your breath. This is powerful New Beginning that is far reaching! You will feel these powerful new beginning frequencies till the Full Moon…which then continues its playing out of frequencies of manifestation and Alignment impact ~ felt till the next New Moon. The unfolding and the Alignment is Eternal and Glorious in its Manifestation! If you are here in a form you are part of this and ALL memories are held in the Original Blueprint, for YOUR DNA to be fully Activated NOW. The process is reaching a PEAK level of awareness and experience that is bringing about a mass consciousness clearing of ITS subconscious energetic charges of its memories. This is what we are witnessing as the world-wide events. IT IS THE CLEARING process. As your energy karmic memories clear, YOU awaken more of your Eternal Self, God Self DNA in your form and vibrate and signal this, throughout the Universe. This is happening now. All takes place THROUGH YOU for your benefit, even if external events appear otherwise. YOU Are a Divine Powerhouse of LOVE and UNION to ALL experiences. There are no limitations at those levels…that exist now. Again, This is a PORTAL of Alignment. YOU your God Self, the LIMITLESS you ~ knowing no separation from ALL things throughout the Universe, this is the TRUE YOU. The YOU existing in the 5th Dimension consciously. The YOU that lives in AUSPICIOUS Glory. The YOU that went through the incarnation process, who no longer needs to incarnate unless you want to. That has descend to the lower dimensions than ascended. YOUR Light Body is READY. Your Eternal ALIGNMENT is ready and exists NOW. This is your NATURAL ORIGINAL State of Being. Feel this even NOW and breathe this in AS YOU NOW FULLY ALIGN with this your eternal auspicious, glorious GOD Self. And so it is, Beloved Angels, in Glory and Love with the Divine Council of Overseers. Receive. 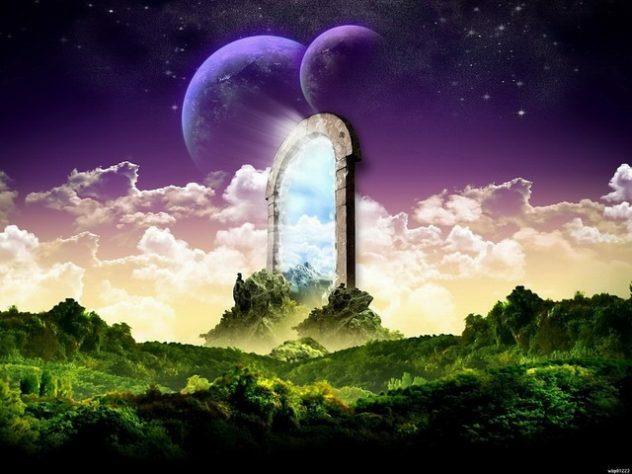 This entry was posted in Uncategorized and tagged "New Beginning", alignment initiation, DIVINE portal, DNA activation NOW, expansion of consciousness, L'aura Pleiadian, love, new moon, relaxed state, Sept. 9, subconscious to become conscious. Bookmark the permalink.